We have a fantastic pool at our apartment complex and it’s been getting a lot of use now that the warm weather has arrived! 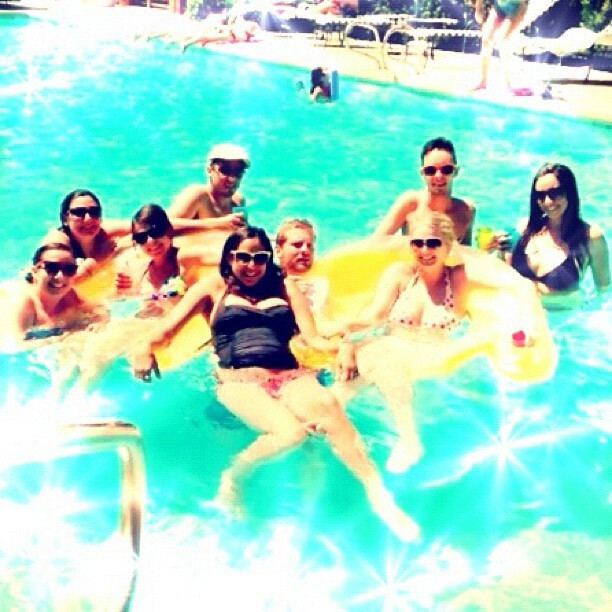 Since pool days involve major heat and getting wet, my beauty routine is nearly nonexistent on these days. 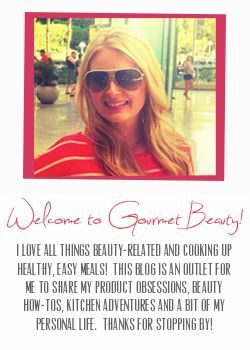 Here are my 5 beauty essentials for lazy days at the pool with friends! Sunburned lips are so incredibly painful. I have so many chapsticks but most of them don’t contain any SPF. It’s really important to only wear lip balm that includes sun protection when you’re going to be out in the sun. 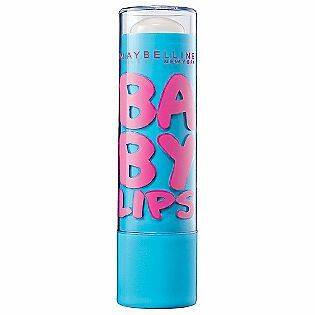 I’ve been using Maybelline Baby Lips clear lip balm in peppermint. It has SPF 20 and comes in a really cute container. This should be obvious. Don’t skip sunscreen! And anything with an SPF below 15 does NOT count! I never use anything below 30 when I’m going to be swimming. 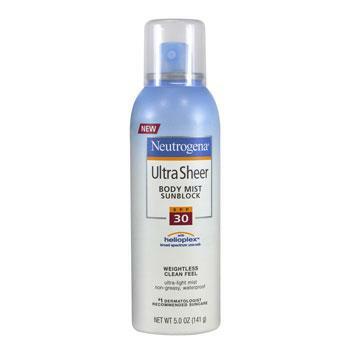 I’m currently loving Neutrogena Ultra Sheer Body Mist Sunblock in SPF 30. It applies evenly and absorbs well without being greasy. You don’t have to rub it in and get it all over your hands, which I really like. As you’ve seen from my past posts (here and here) I’m totally into bright lips for spring and summer. Since mascara and bronzer are pointless on pool days (I actually swim like a kid with my friends at the pool, not just lay out), I love wearing bright lips. 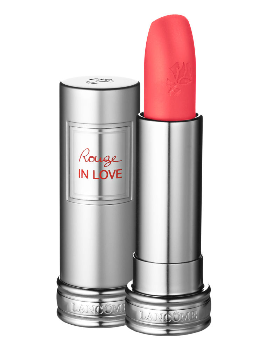 While we were in Vegas, I bought Lancome Rouge in Love High Potency Lipcolor lipstick in Rose Boudoir. This is a great pool day lipcolor because it’s long wearing (claims to be 6 hours but I find it lasts 2-3), and Rose Boudoir is a gorgeous and bright hibiscus corally pink. The sun and chlorine can really take a toll on your hair. I like to spritz some leave-in conditioner on my ends to help protect against damage. I’m currently using Milk Shake Leave In Conditioner. 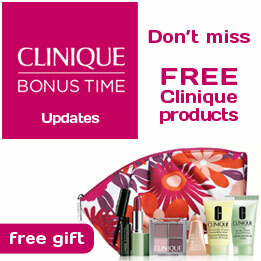 It’s packed with honey, fruit extracts, proteins and vitamin E. It also smells like cake! I’m sure it’s supposed to smell like a milkshake, and it technically does, but I smell vanilla cake and frosting. YUM. 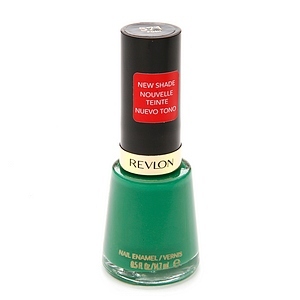 Nail polish is a great way to make a beauty statement when everything else is understated. I’m currently loving different shades of green and blue for the warm weather. My spring favorites have been Revlon Posh, pictured above, and Essie polish in Something Borrowed, Lapis of Luxury and Mint Candy Apple. 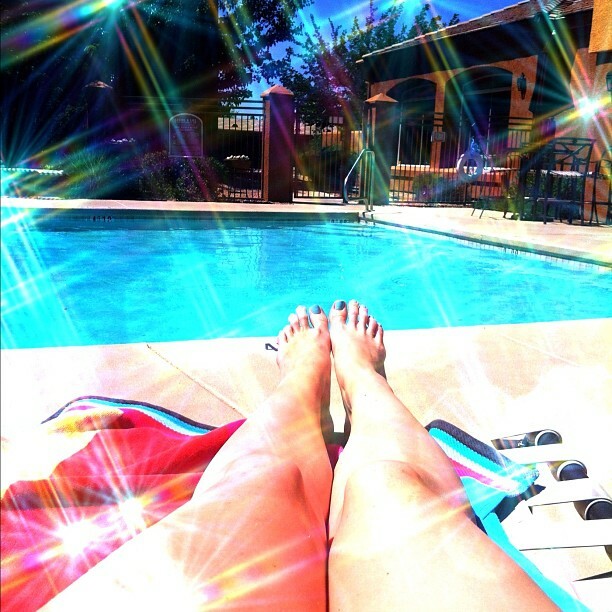 What are your pool/beach day beauty essentials?